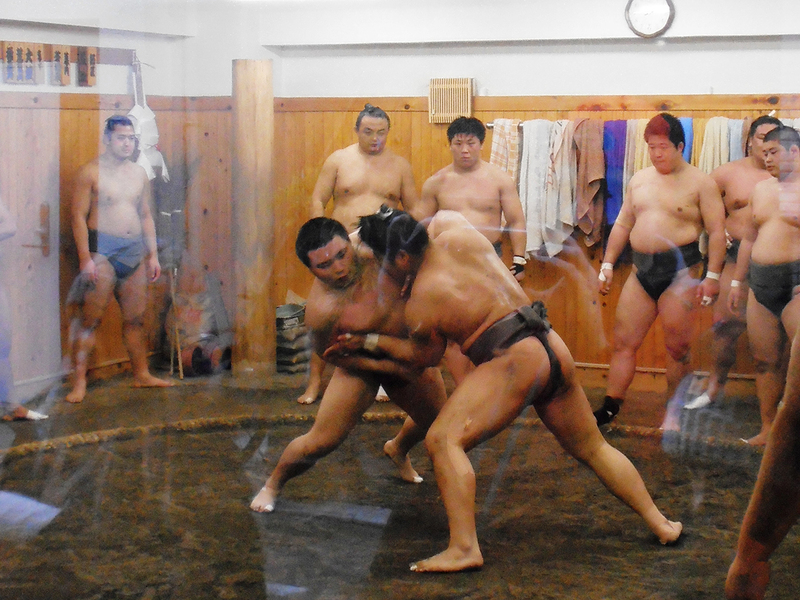 The Arashio stable (Arashio-beya) is a stable of sumo wrestlers located in Hama-cho, Nihombashi, Chuo-ku. From the outside of the stable, visitors can observe the impressive sight of sumo wrestlers at practice. Walking through the Ningyocho district was fascinating, giving an insight into the history of the area dating back to the Edo period. Here the streets are crowded with myriad food stores that are determinedly keeping centuries old traditions alive and relevant in such a modern city. 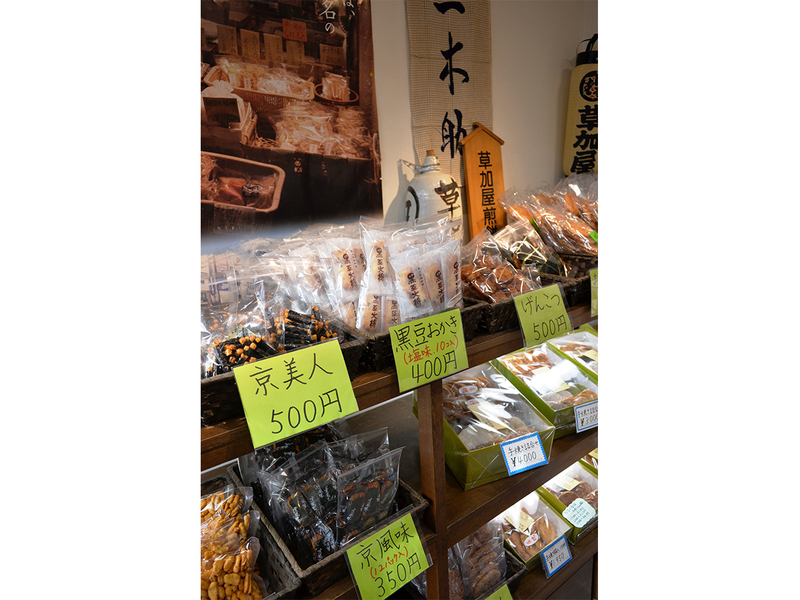 We happened upon a rice cracker shop where a gentleman was placing charcoal into a machine in preparation to hand craft rice crackers. The store itself sold an endless array of crackers; I bought two bags, not to eat but to take home as a souvenir of an increasingly disappearing craft. We ended up zig zagging back and forth across Amezake Yokocho, ducking into a sushi shop that have been making sushi since 1877, before turning a corner and navigating our way to Gyokueido Sweets, where the owner explained that his family have been making sweets since 1576, first in Kyoto and more recently from this shop in Tokyo. As her chatted about generations of his family, his wife served a steady stream of customers, placing their choice of sweets into boxes before intricately wrapping them in paper (it looked effortless to her). The owner laid out a plate of lovely little pastel pink Sakura mochi for us to sample, explaining that these were made in the Kyoto (Kansai) style – the steamed rice has more texture in it than the more smooth Tokyo (Kanto) style. They were absolutely delicious, especially given the cherry tree leaves they are wrapped in are soaked in salt, producing an irresistible sweet/salty combination. I could have eaten them all day! Sumo is a sport steeped in Japanese tradition. The wrestlers themselves appear as demi-gods. 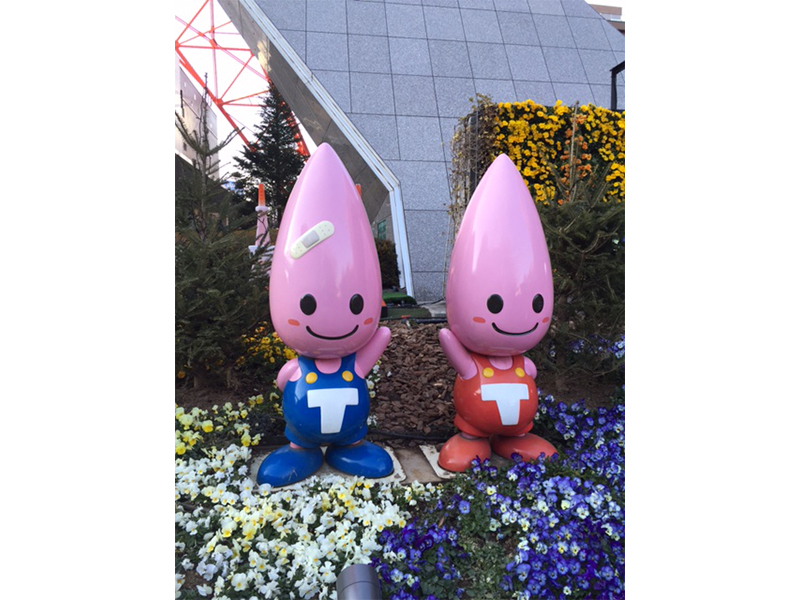 Their size, speed and gravity (in all senses) elicit awe from Japanese and foreigners alike. 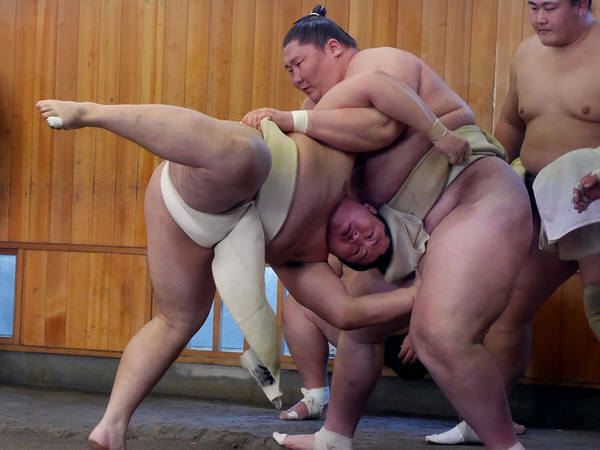 Training bouts alone are impressive, but they also remind the audience of the sumo’s human side. Every wrestler had bandages across their knees and wrists and ankles; even in practice, there are no holds barred. As we watched, one sumo paused to retie his partner’s top-knot. Each wrestler exhibits great power, but also honour and benevolence. Ningyocho is a district at the centre of modern Tokyo, filled with food and craft shops dating back to the Edo period. 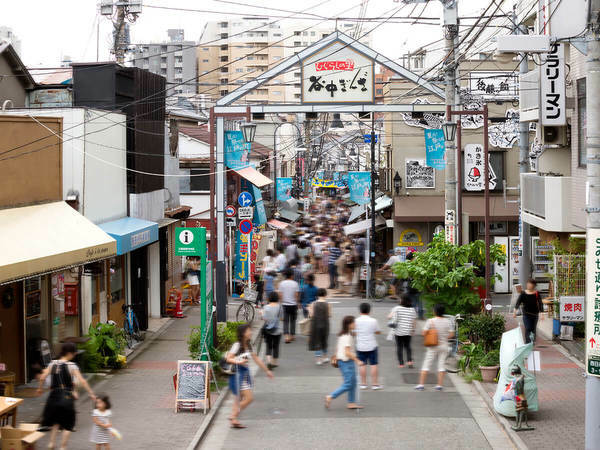 One street in particular, Amezake Yokocho, is reminiscent of down-town areas of old Japan. 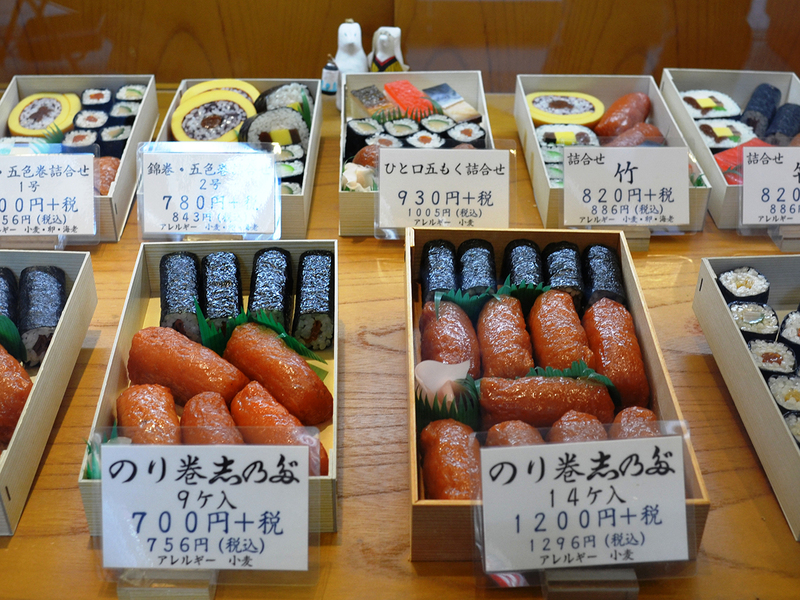 One shop sold rice crackers in countless varieties; the Shinoda Sushi store has been making sushi since 1877. 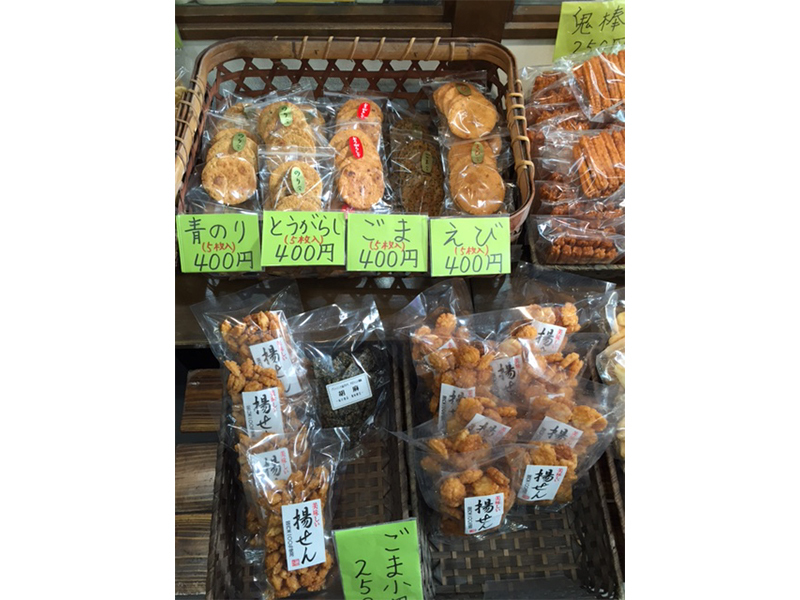 The owner of Gyokueido Sweets shop offered all sorts of interesting stories. The business originally began as a bar in Kyoto in 1576. 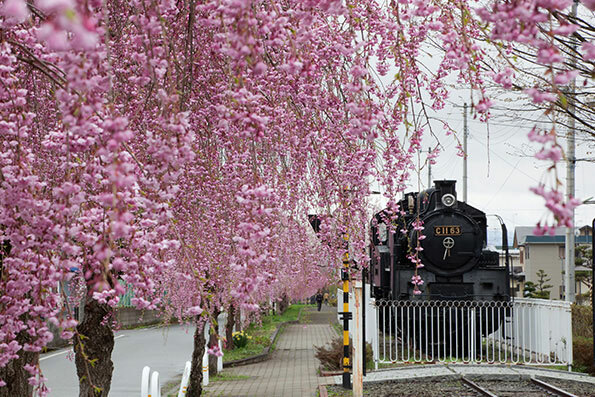 Moving to Tokyo, they later became famous for their ‘torayaki’ sweet bean pancakes. 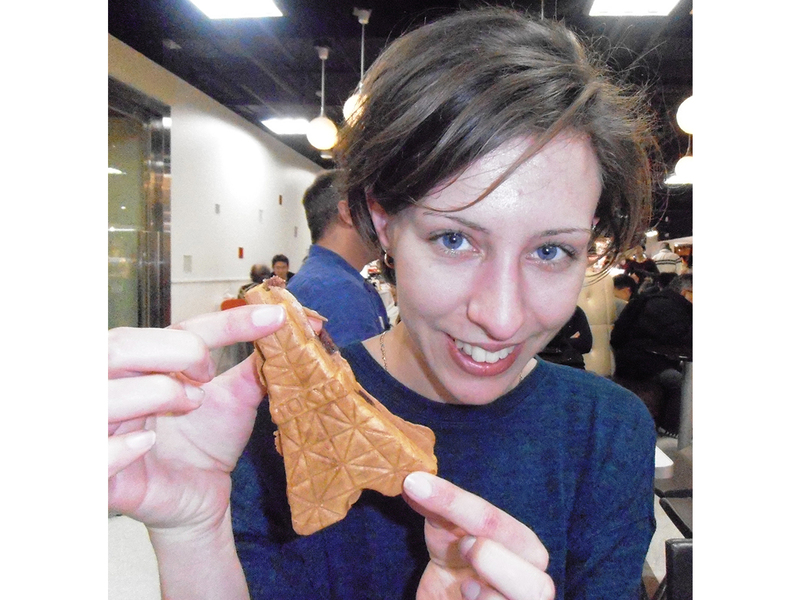 I am a great fan of Japanese sweets, especially ‘domyoji’. These are best described as bean paste and sweet pink rice wrapped in a pickled (so slightly salty) cherry leaf. They are often sold around the start of spring, and in Tokyo are called ‘sakura mochi’. 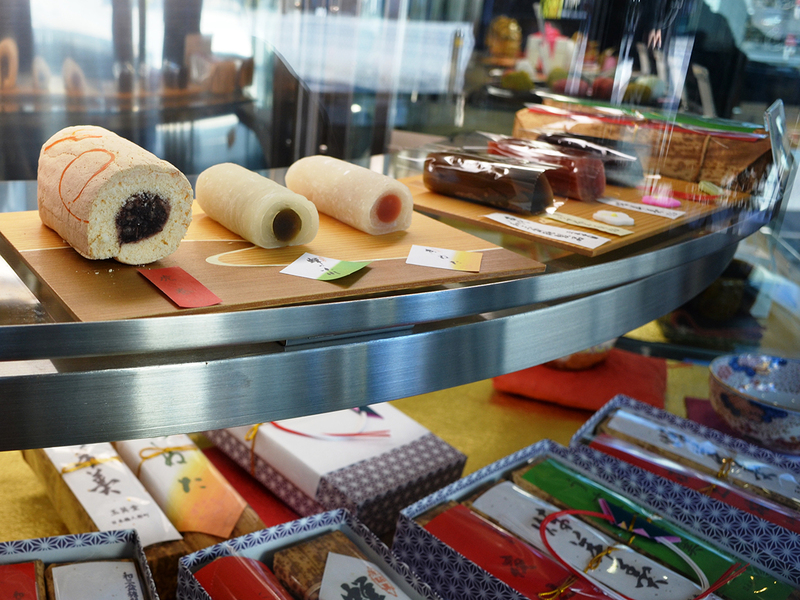 These sweets are a must-try if you are traveling through Japan. I loved the area around YanakaGinza(Shopping Street), watching an endless flood of people go in search of food and fun. As we wandered the streets in the vicinity we happened upon a scrubbing brush shop, Kamenoko Tawashi Yanaka, a delightful space where this 109-year-old company sell traditional tawashi (which apparently are great at removing tea stains from cups), designer scrubbers and even T-shirts and cute little tote bags emblazoned with its logo. We also stopped in at a traditional geta store, the walls lined with designs in wood and raffia, and a paper shop to browse the endless sheets of bright designs (some still produced by wood block). I bought three sheets in various shades of blue, and watched as the girl behind the counter rolled them up and wrapped them in another piece of gorgeously designed paper. 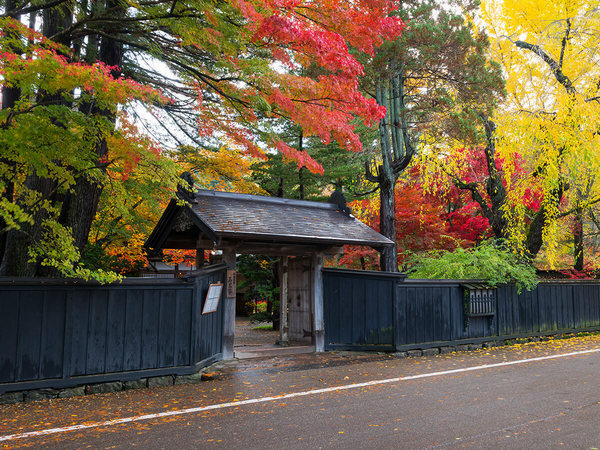 Nezu-jinja Shrine: Nezu-jinja Shrine was a lovely oasis in the middle of the busy neighbourhood. 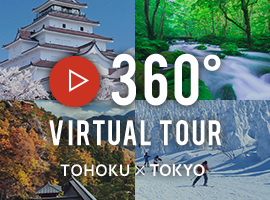 Walking through its giant tori at the entrance, we immediately found ourselves surrounded by lush gardens, with streams filled with carp and even a turtle sunning itself on a rock. 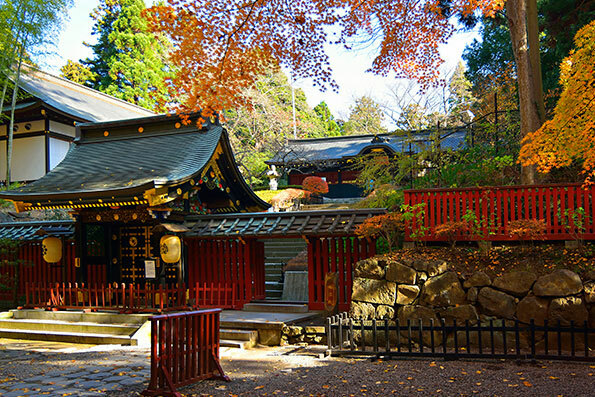 The shrine itself is stunning; it is fascinating to watch locals stand patiently in line to pay their respects, shopping bags in hand, before happily going back to their day to day routine once done – it is another lovely glimpse into an ancient Japanese tradition played out against the backdrop of the unrelentingly modern city that encircles it. 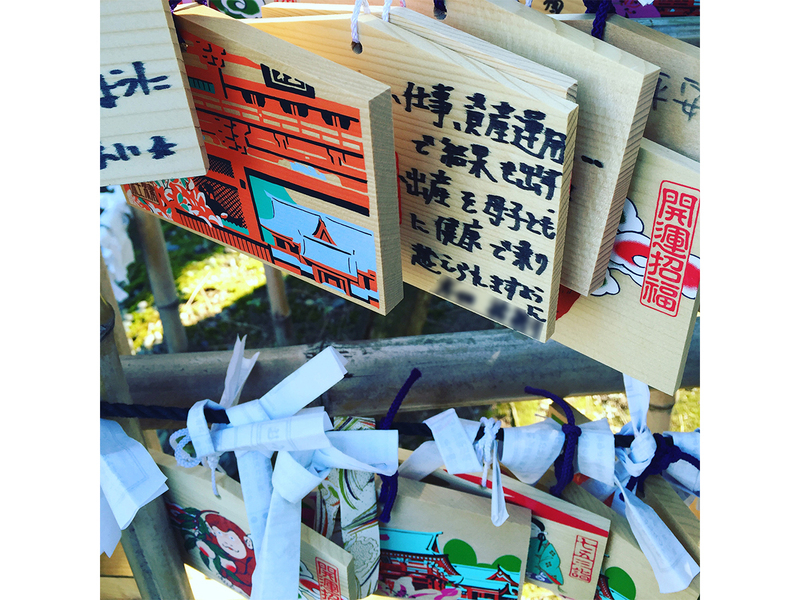 Whenever I find myself at a shrine I always love to take time to look at the ema, little wooden tablets on which worshippers and visitors write their prayers and wishes. I know it sounds like it might be a slight invasion of privacy, but I am always heartened to see what people ask for: it is almost never money or fame or fast cars but rather the health and happiness of their loved ones or the betterment of society (world peace is always in there somewhere), or in the case of students, that they pass a certain exam. From Ningyocho we took a short ride on the subway to Yanesen in Tokyo’s inner north. For lunch, we ducked into a ‘kushi-age’ or ‘things-on-skewers’ restaurant called ‘Hantei’. The building is quite venerable by Tokyo standards—it survived the Great Kanto Earthquake in 1923—and we sat on tatami mats on the second floor while waiters brought out platters of artfully arranged food. The lunch set is an adventure, as the waiters will note down dislikes and allergies, and then leave the final combination of meat, fish and vegetables to the chef. There was an entire fish on a skewer, and it tasted really good! When you step out the door again, there is an entire network of streets and shops and interesting sites to help you walk off your meal. YanakaGinza(Shopping Street), the Asakura Sculpture Gallery, Yanaka Cemetery (especially if you can read kanji), even Ueno Park. 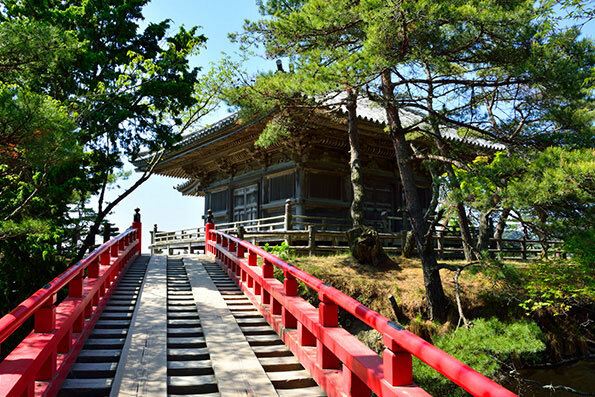 My favourite discovery was Nezu-jinja Shrine. I've been to a lot of shrines and temples, but this one really is lovely. 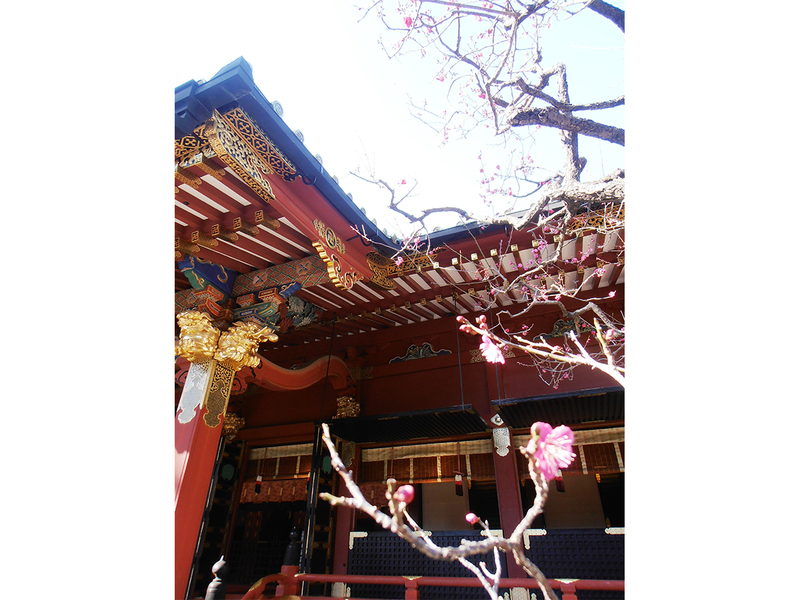 The red paint and gold decorations are surprisingly similar to the famous Toshogu Shrine in Nikko. 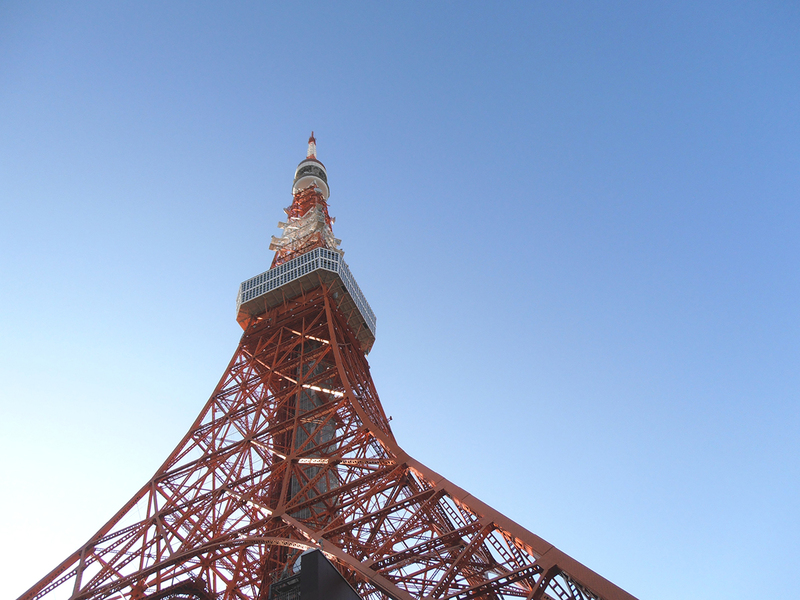 A perfect way to really understand the sheer size of the city is by taking the lift up to the viewing platform of Tokyo Tower. 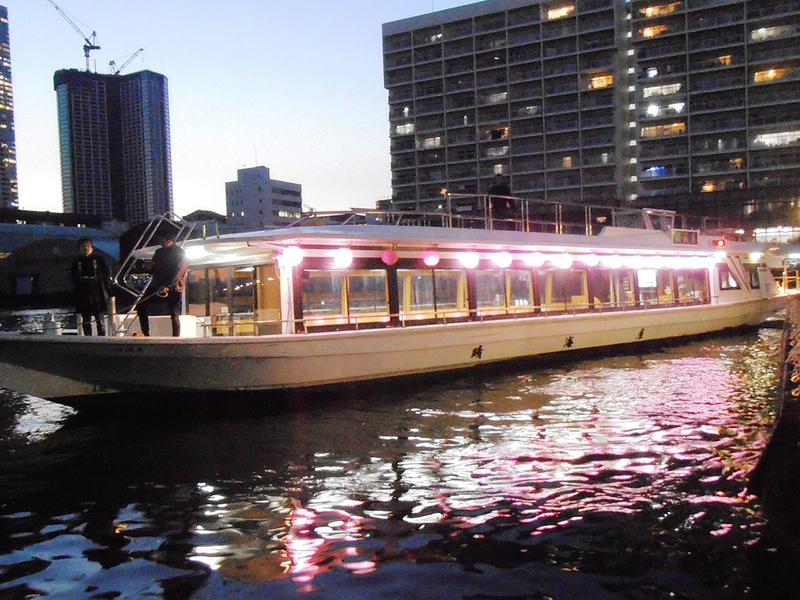 It is a novelty to eat dinner on a boat on the Sumida River. Most of the fifty other diners were Japanese, and they seemed to agree on this point. For overseas visitors, the food can be regarded as an introduction to Japanese cuisine: sushi, tempura, hot-pot, pickled vegetables and rice. As you eat, the boat takes you out to Rainbow Bridge and then back up the river through the city lights. 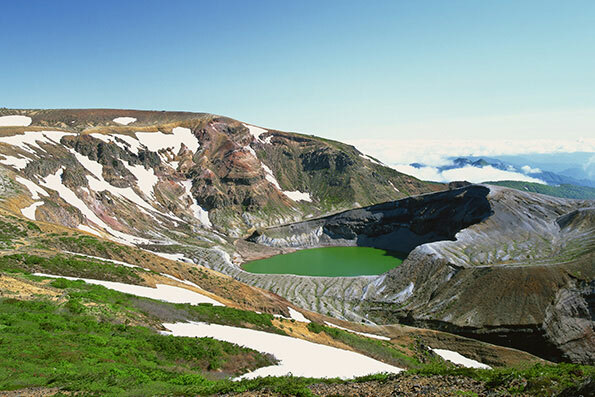 Commentary on the scenery is provided in Japanese and English. 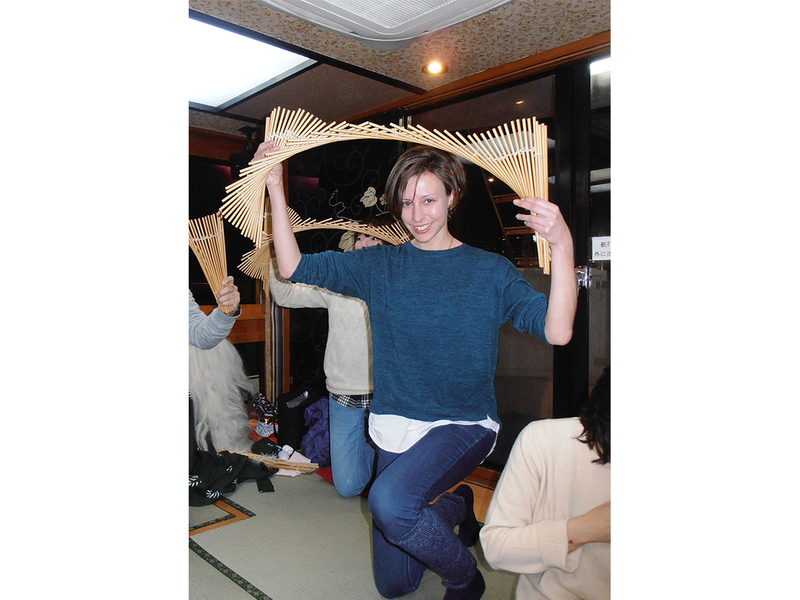 There was also a Japanese entertainer with his ‘tamasudare’, a bamboo mat that can be pulled and twisted into unexpected shapes. I was selected as a volunteer—results in the picture! Given the Shinagawa Prince Hotel’s proximity to the train station across the road, getting to Haneda Airport was an easy process. Once there check in took no time, and after clearing security we had the chance to take a look around the airport. While it was a little too early to browse the shops – there were lots to choose from – we did have time to grab a breakfast bento. 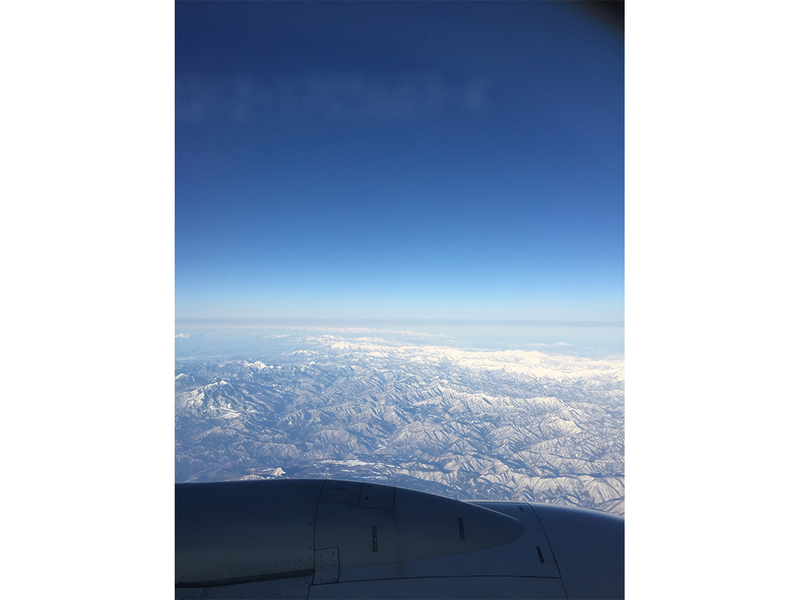 We were onboard and taking off right on time for the short flight from Tokyo to Akita, watching from the window as Tokyo receded into the distance and the snow on the mountains below became thicker the further north we headed. 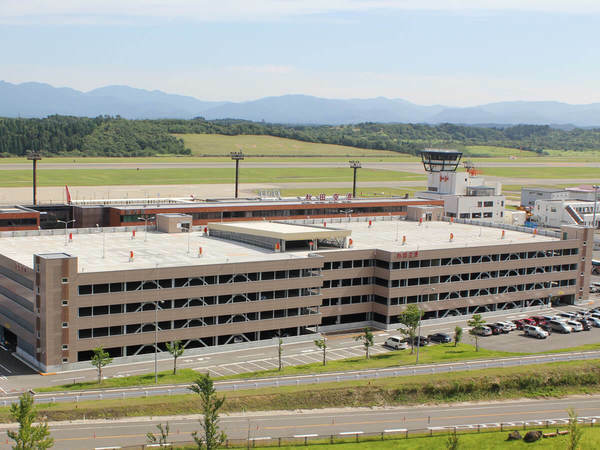 We landed into Akita airport to a temperature of minus six degrees. Our bags were delivered from the plane quickly and we met up with our guides and set off through the snow, which we were told was not very deep this year. It looked pretty deep to me. The Shinagawa Prince Hotel is located right next to Shinagawa Station, and this made it easy to get out to Haneda for an early morning flight to Akita. 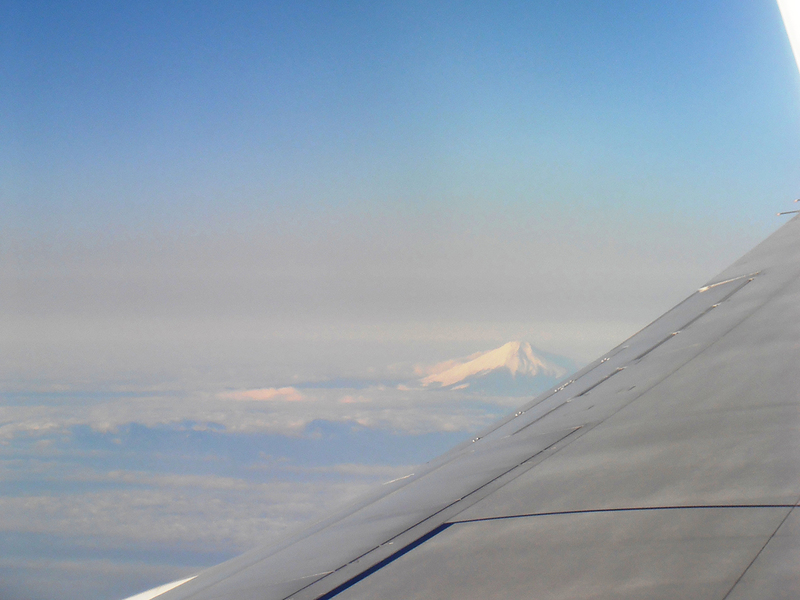 Almost forgot to look for Mt Fuji (!). 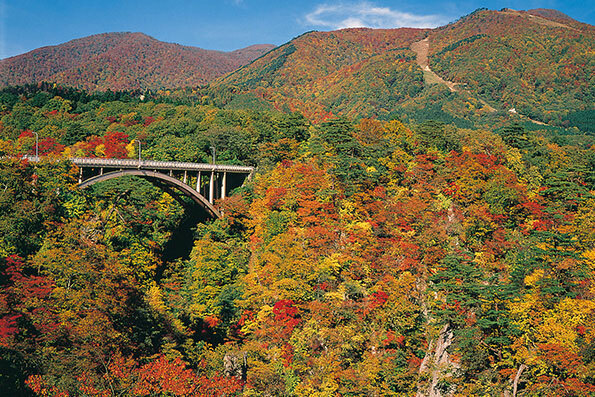 When you’re living in Tokyo, you can sometimes forget that Japan a mountainous country. Fuji-san just marked the start of a mountain range that stretches all the way up north. Our flight was a short one, just over an hour out of Tokyo. 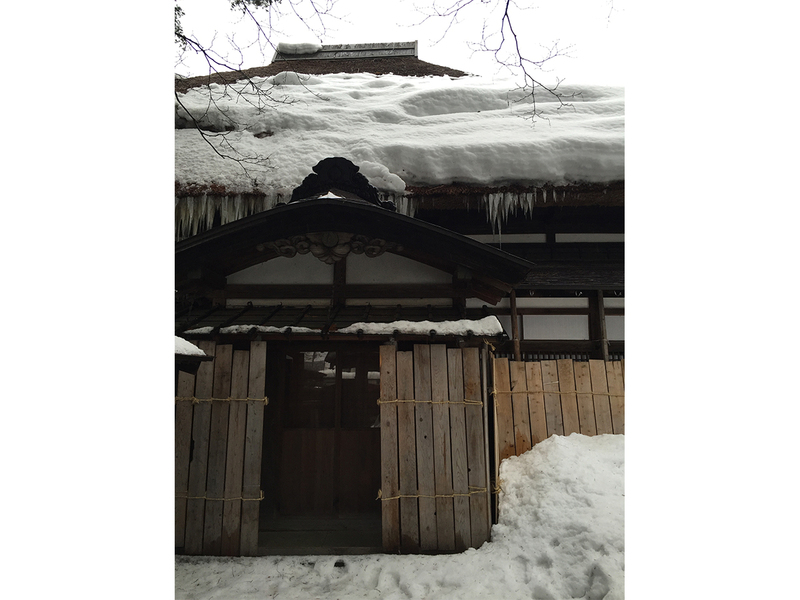 We were greeted by fields of snow, and an Airport Liner Bus that took us up to Tazawako Kogen. 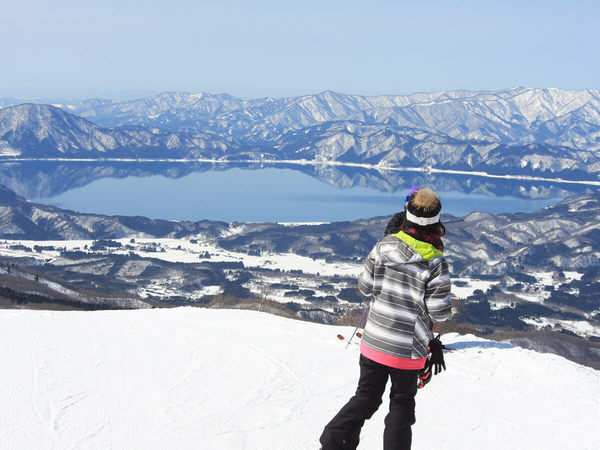 Before getting kitted out to take to the Tazawako Skiing Area we headed to Lake Tazawa to make the most of the crisp air and stunning sunshine. 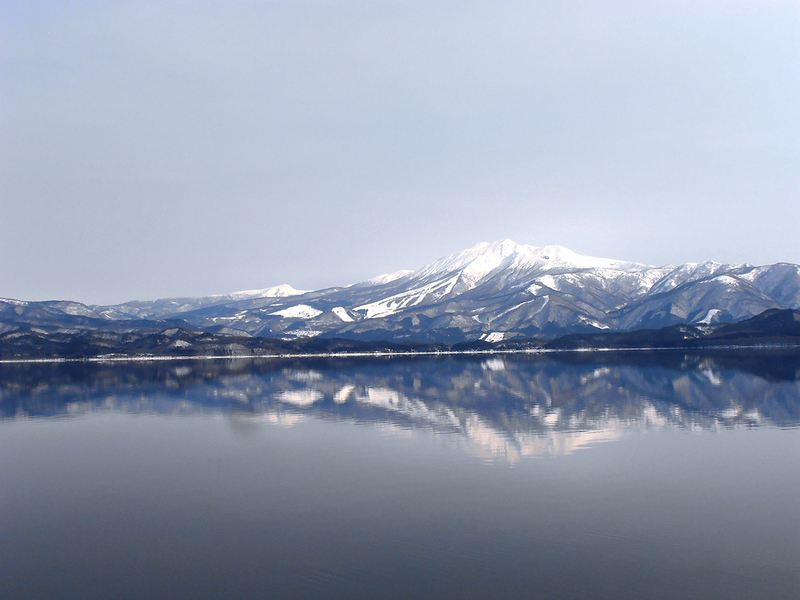 Driving along the side of the lake we were told the tale of the beautiful young woman who transform into a dragon and now lives at the bottom of the lake; we were also told that it is the deepest lake in Japan. 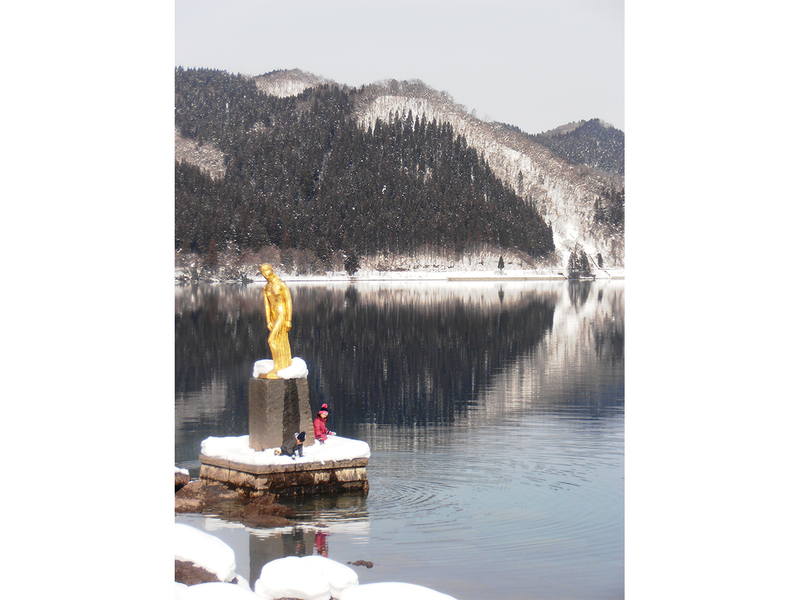 We eventually stopped at the most picturesque part of the shore, where a tiny Shinto shrine sits on the edge of the water laden with a blanket of snow, while across the lake the snow-capped mountains were perfectly reflected on its mirror-like surface. The silence here was otherworldly – it was so peaceful and quiet, allowing for the stunning view to be appreciated without the slightest distraction. Tazawako Skiing Area had a laid back, casual and uncrowded feel, populated mostly by Japanese (many of the local skiers simply drove up in their cars and changed into their boots in the car park). It is small by comparison to many resorts but this added to the experience: it felt like we were part of the local community (although there were quite a few Australians there too) and it also made tasks like getting fitted for our boots and skis a quick and easy process. In not time we were suited up and heading out to the slopes, which include runs for beginners and pros (the resort was about the host the Mogul World Cup). Unlike other resorts, the runs were relatively uncrowded, with no waiting time on the ski lift and lots of room to move coming down the slopes. I hadn’t been on skis in years and was too scared to do the run from the top (I was transported down the hill on a snow mobile), so my instructor gave me a refresher course, which was great fun. One of the highlights of our time here was lunch, with all manner of steaming noodles served up fresh and hot. I loved the fact that there wasn’t a hamburger or French fry on the menu; it really enhanced the overall experience. Lake Tazawa is really breathtaking. We had perfect blue skies and the lake turned into a mirror that reflected all the mountains around it. At one point we encounter the golden statue of Tatsuko. 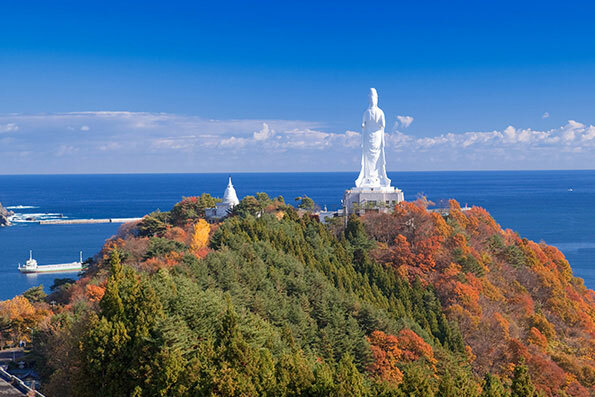 In local legend, Tatsuko prays to the gods that her beauty will be eternal—and the gods transform her into a dragon, forever to protect the lake. 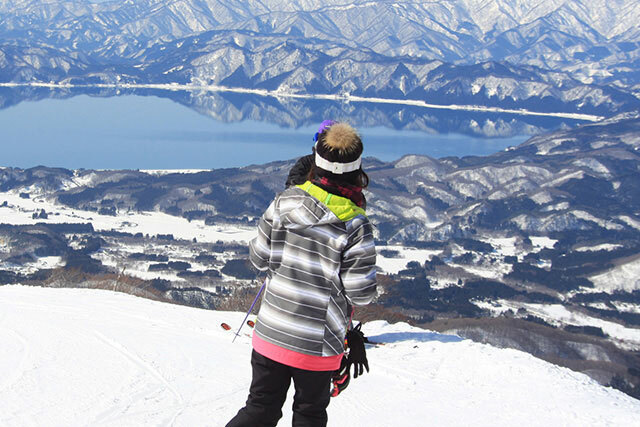 The resort caters for everyone from pros to beginners、and instructors are happy to help the inexperienced (so me) with their skis or snowboard. 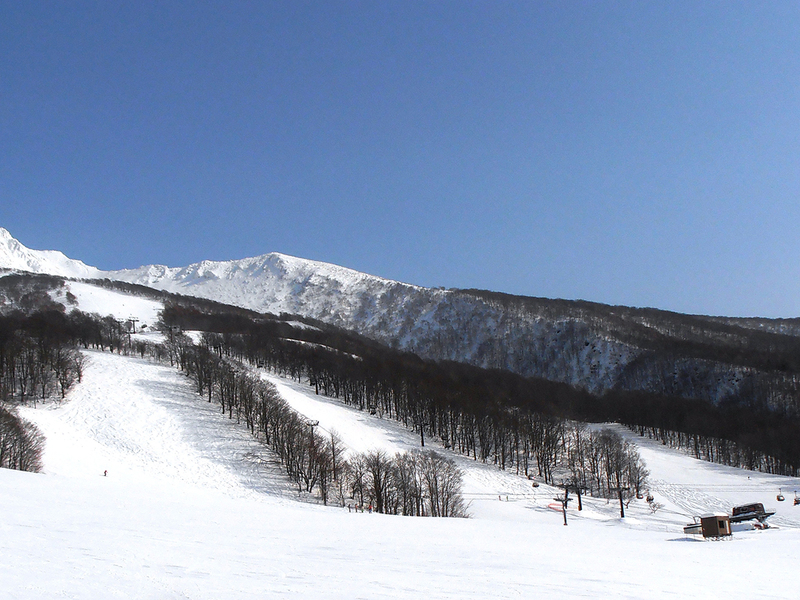 In contrast Niseko and Hakuba, the slopes on a weekday are virtually empty. For somewhere off the main tourist route, the resort is exceedingly well prepared for non-Japanese speaking visitors. Signs are written in Japanese, English, Chinese and Korean, and one instructor could even speak French. 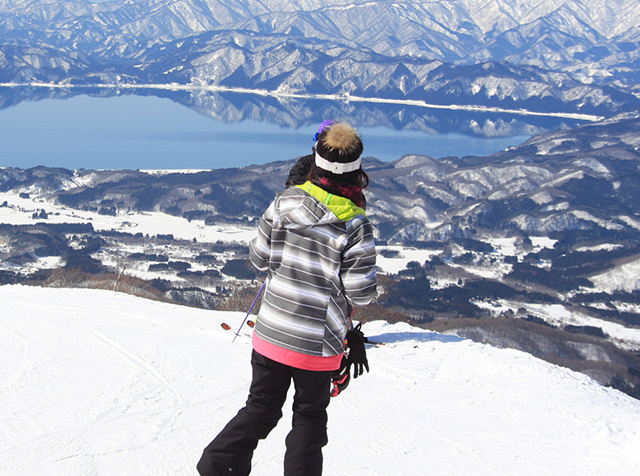 Heading up to the top of the ski lift, we found some amazing views out over Lake Tazawa. It was my first time on a snowboard, but I had an awesome day. The Australian group I met in the cafeteria said they were Japan regulars, and the skiing in Akita was just as good as in Hokkaido. 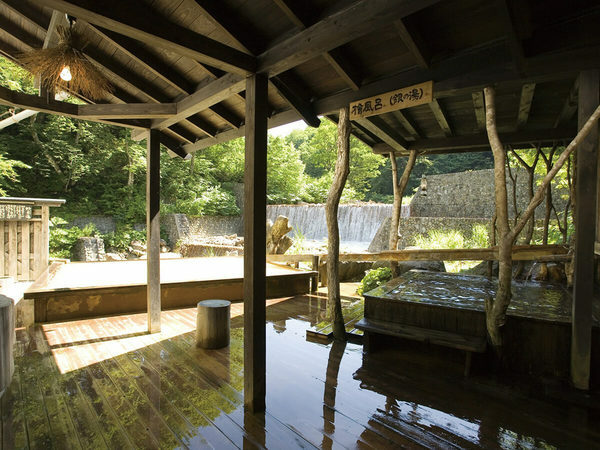 This ryokan is absolutely gorgeous, a true slice of old Japan. I first stayed in a Ryokan when I was 16 and have been fascinated by these traditional inns ever since. 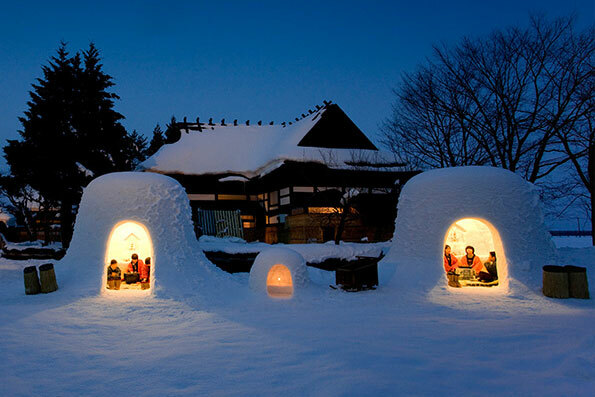 I cannot understand why more visitors to Japan don’t opt to stay at places like this. 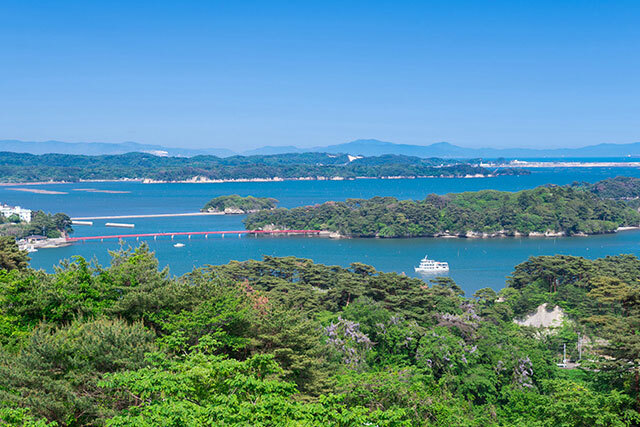 The property is wonderfully cosy and well appointed – we were told that we had some of the best rooms available, and I can definitely see why: the tatami rooms were delightful. After taking the water, most of the guests opted to dress for dinner in the yukata provided to each guest in their room. Dinner itself was a seemingly endless array of dishes, each one exquisitely executed and totally delicious. One of my favourite discoveries was the Akita specialty kiritanpo, a moulded and grilled rice stick that is added to hot pots and stews – I couldn’t get enough of it! Taenoyu is a truly lovely place to stay. 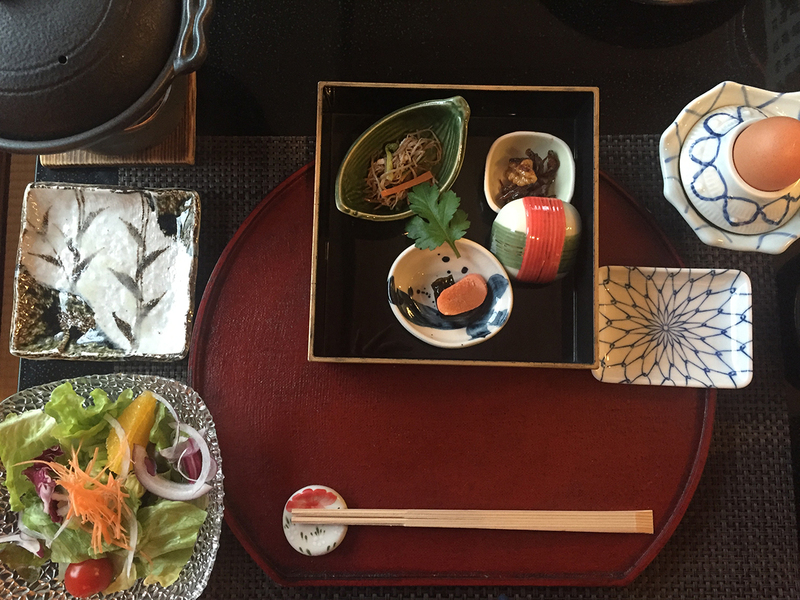 The ryokan has beautiful tatami rooms, faultless service (in English and Japanese) and amazing food. 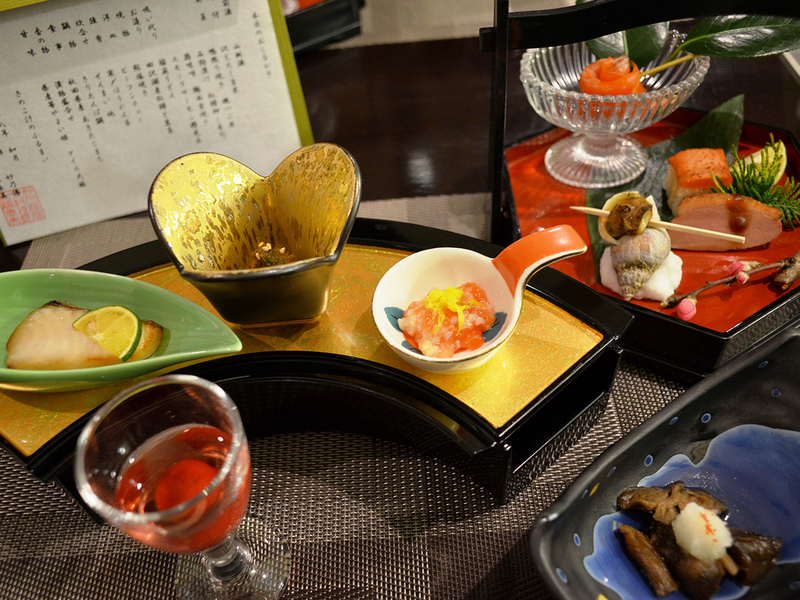 Dinner was a feast of local produce: kiritanpo rice cakes, iwana fish, pickled sansei vegetables to name a few. These vegetables are among Akita’s most famous foods. 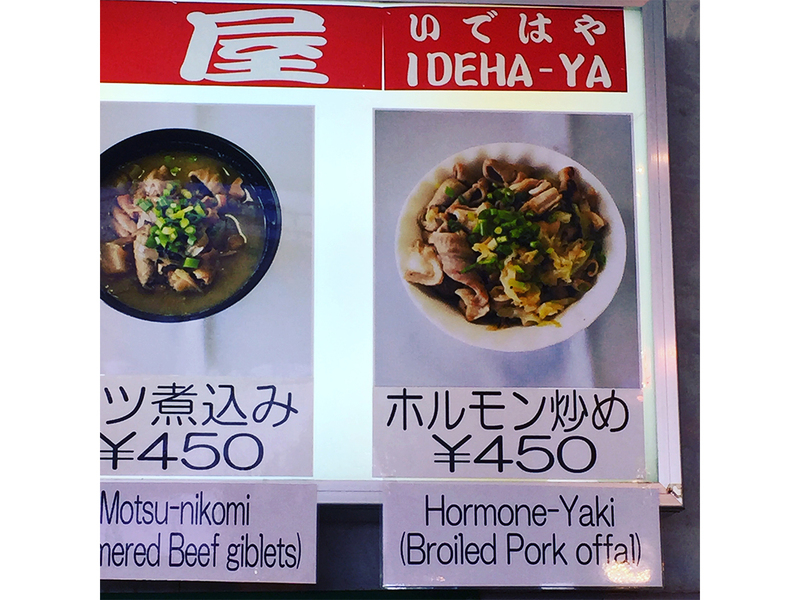 However, one of the staff members said that they are hard to explain in English, and that overseas visitors often leave them on their plates. My advice is to try them—it’s worth it! 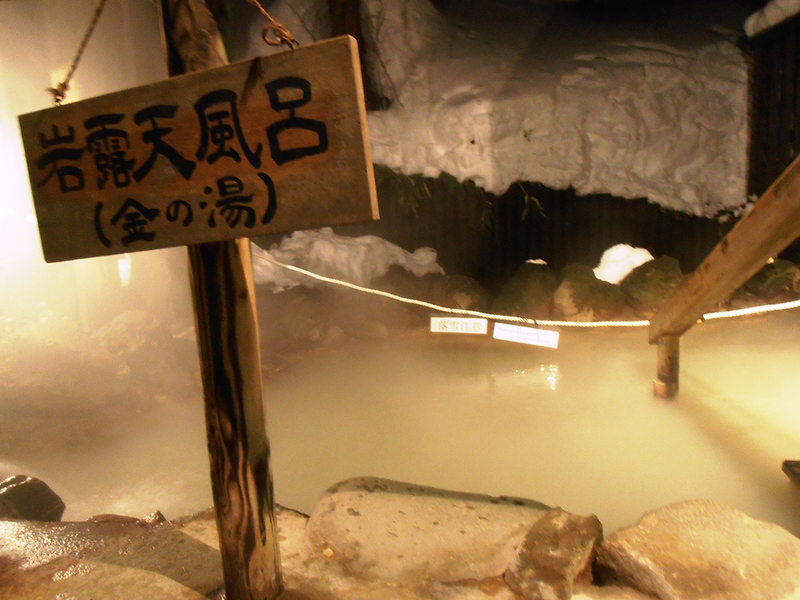 This part of Akita is famous for its onsen, and Taenoyu is of course part of the Nyuto-onsen-kyo Village. 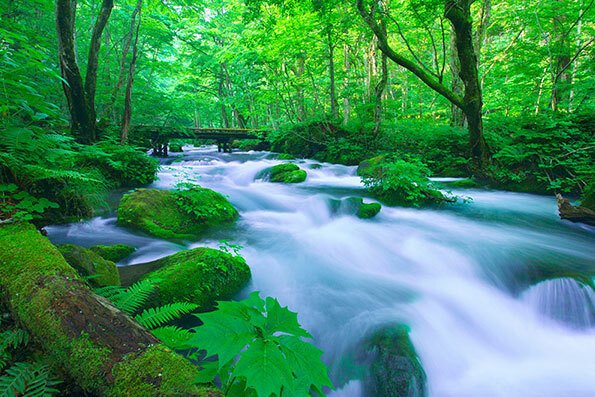 Taenoyu has access to water from two hot springs, one called Kin-no-yu ('Golden Water') and the other Gin-no-yu ('Silver Water'). Both are effective for ailments such as muscle pain, poor circulation and bruising. The inside bathing facilities are separated by gender and have the two different types of water. The bath outside is shared. Yes, men and women in together, unless it's between 5pm and 6pm when the area is women-only. Women are permitted to wear towels, and men can hold a smaller one in front. This was not my first mixed onsen, and I am fine with this as long as the bath is big enough for personal space. I have never encountered any staring, rude remarks or inappropriate behavior. For those less brave, Taenoyu has a private bath for booking. The other option is to get up early and watch sunrise, by yourself (or with your travel partner) in a hot bath surrounded by snow. Breakfast: After a very comfortable sleep in a futon on the tatami, breakfast the next morning was another pretty arrangement of traditional fare including natto, which both Saito-san and Kate seemed to really like; for me it was a bit too challenging and I opted to eat everything but the natto (I would have been happy to eat more kiritanpo though!). 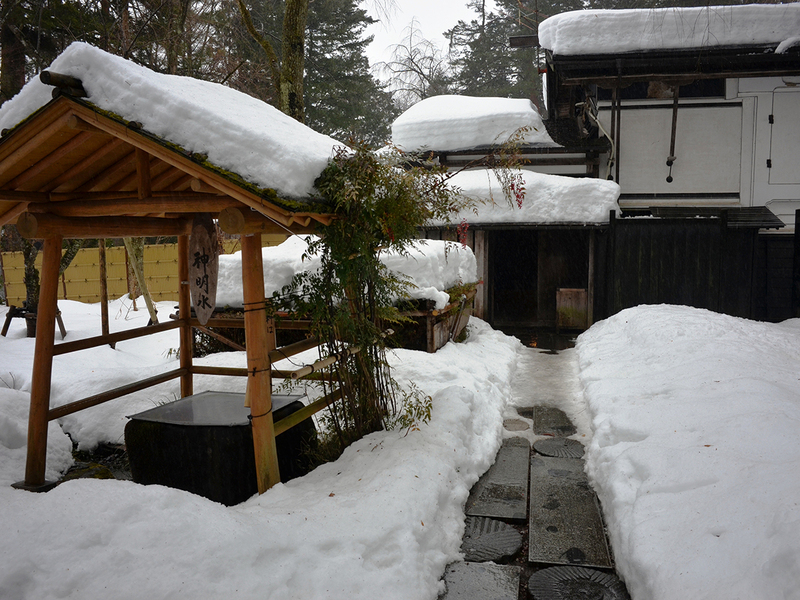 The town of Kakunodate was fascinating, a former samurai stronghold where now only a few traditional houses survive. We were shown around one such house by the owner, who was the twelfth generation of his family to reside there. 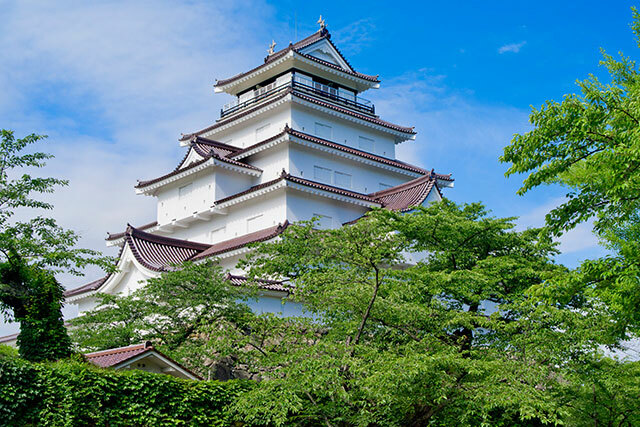 The house features heirlooms of the family’s past, from maps and furniture to stunning traditional samurai warrior armor. We walked from Ishiguro House to a nearby museum, the streets lined with cherry trees, their vast cascading branches devoid of leaves in the current winter chill; it is easy to imagine how amazing they will look in the spring during cherry blossom season, which is a hugely popular attraction in the area. 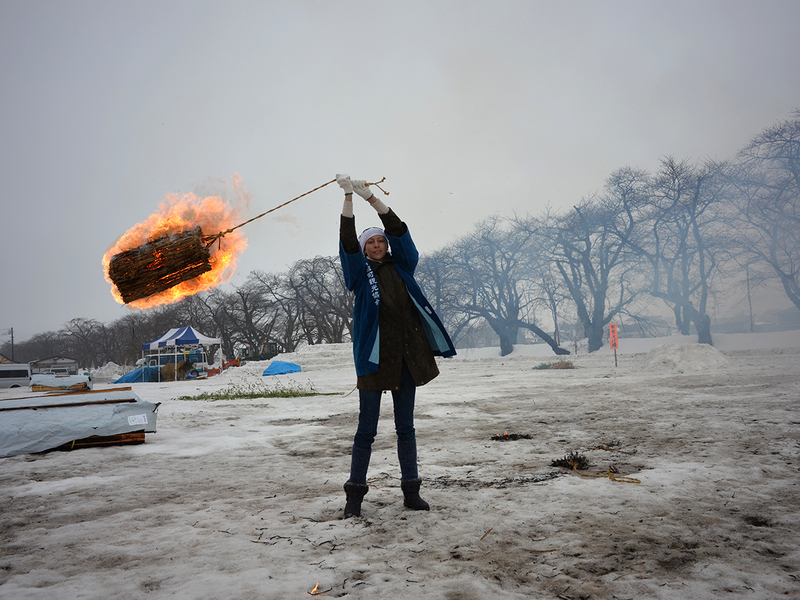 While we were in Kakunodate we got a sneak peek at the Hiburi Fire Festival – it involves lighting a woven cylinder of hay attached to what I consider to be a very short rope and then swinging it around and around above your head until it breaks up and burns itself out. While we witnessed this demonstration during the day, the festival itself takes place at night when the lit torches create stunning circles of fire. While I opted out of swinging a rapidly burning projectile over my head (I didn’t think the cotton jacket and headscarf I was given to wear were really going to offer much protection should I go up in flames too), the whole ritual is believed to chase away bad fortune at the start of the Lunar New Year. I enjoyed wandering around in Kakunodate. 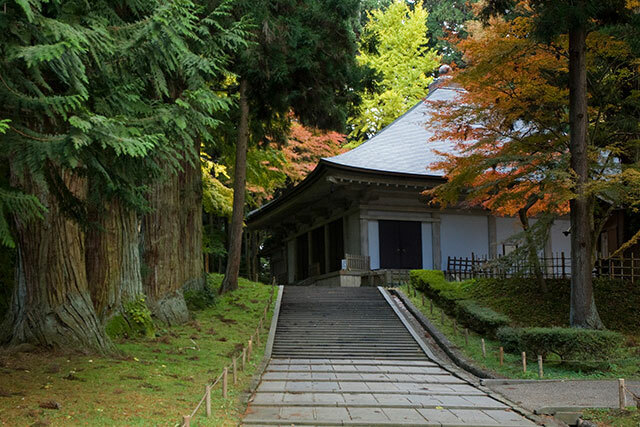 There are a number of old samurai houses, some of these converted into public museums. The gentleman who guided us through the Ishiguro House said that he was the twelfth generation of his family, once one of two hundred samurai households in the region. He still lives in the same building. The public part of the house is a fascinating window into local history, with original maps, tools, furniture and even ningyo dolls that are distinctly different to the ones you see today. 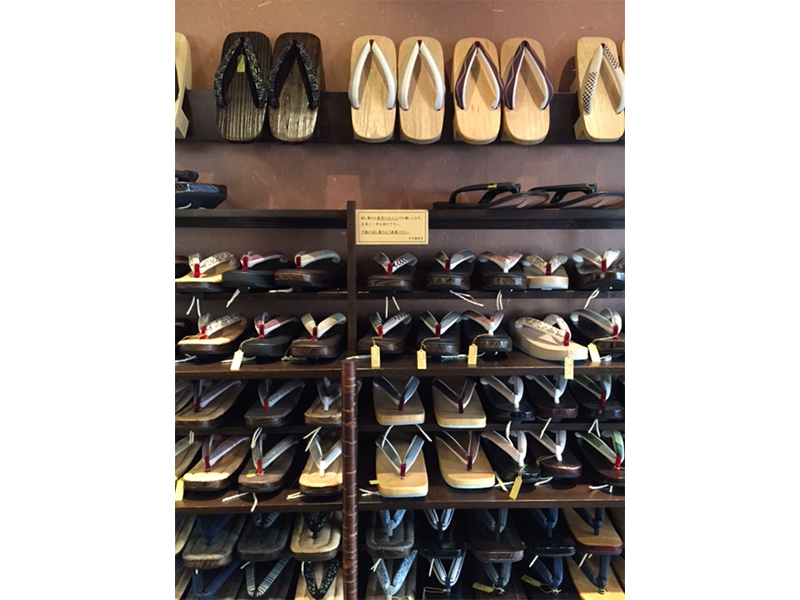 The ‘kaba-zaiku’ industry in Kakunodate also dates back for generations. 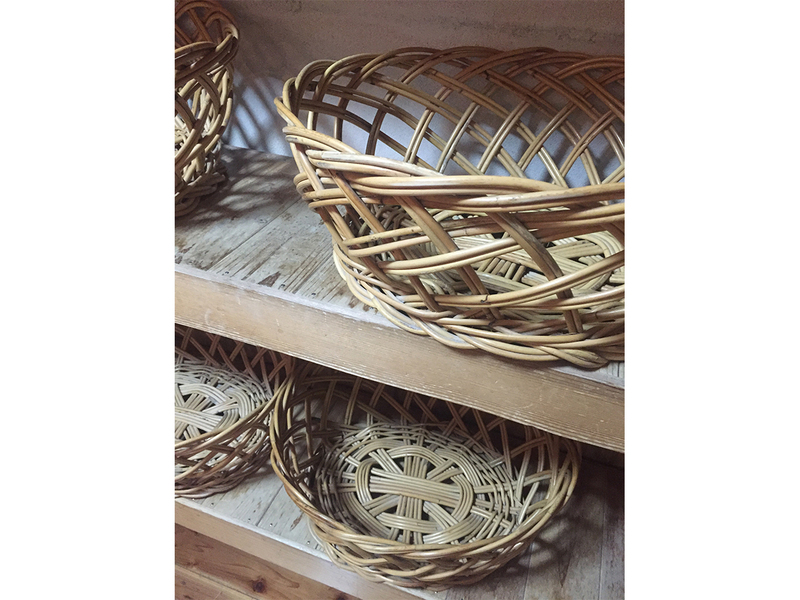 Visiting the local workshop gave us a chance to see how this old art form has adapted to modern demand. 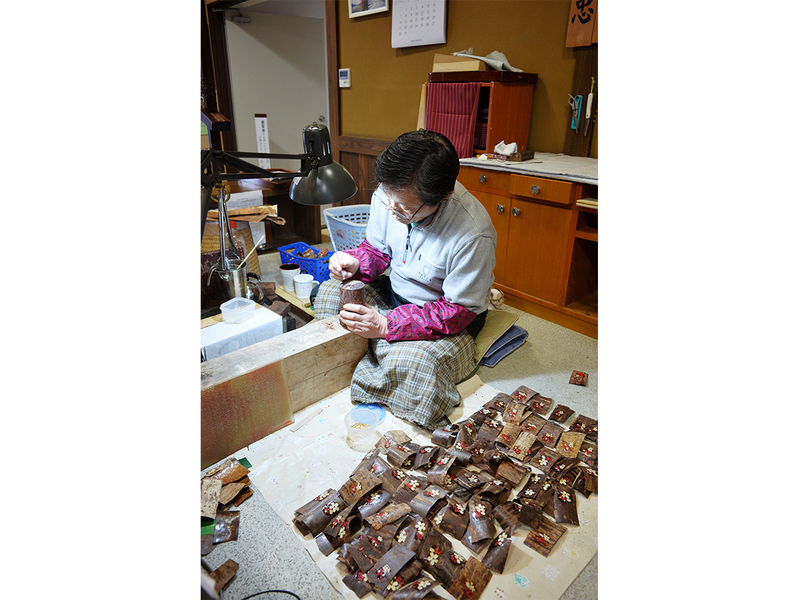 Craftsmen make anything from tea jars to card holders to coffee tables—but most of the work is still done by hand. The bark is polished smooth until it shines like a gemstone rather than wood. It cannot a simple process, and yet the man in the picture said that it was ‘fiddly, but not too hard’! 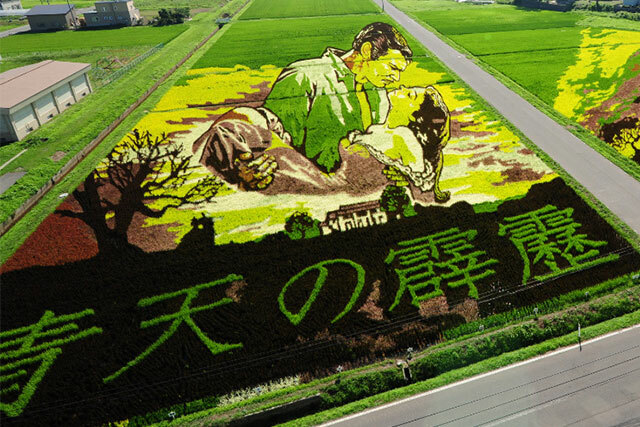 Our visit to Kakunodate coincided with the Hiburi Fire Festival. As we were unable to stay until the main events that evening, the organisers allowed us a special lunch-time trial run. ‘Hiburi’ involves lighting a bundle of hay and spinning it on a rope around your body until sparks fly and the bundle burns to ash. It’s a great way to get warm! More seriously, however, the ritual is meant to clear away any bad fortune at the start of a new year. 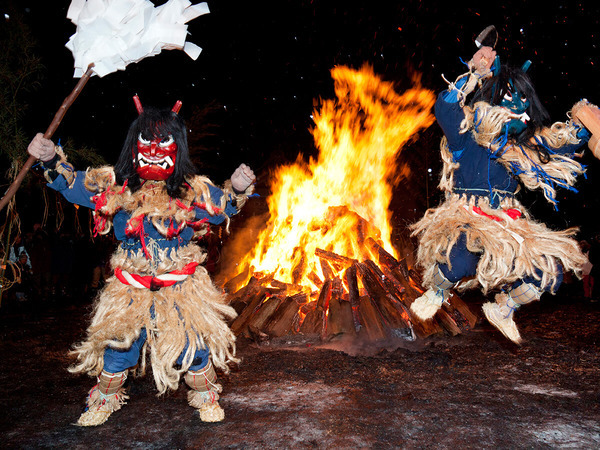 The Sedo Festival is a shrine ritual held on the third day of the New Year, while Namahage is a folk event held on New Year's Eve. 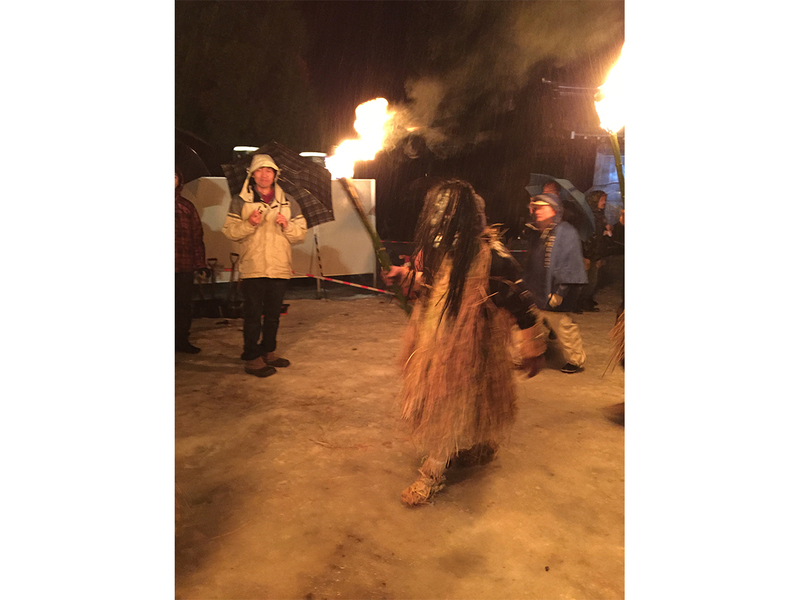 These two events have been brought together in the Namahage Sedo Festival to create a tourism event for winter. 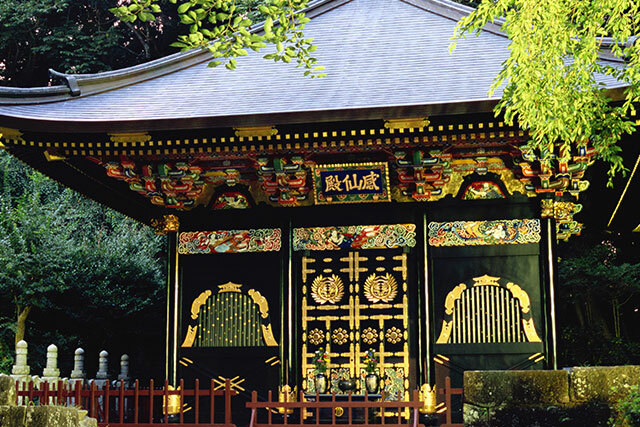 The boisterous Namahage dance that unfolds within the grounds of the Shinzan-jinja Shrine against the backdrop of fire called sedobi within fascinates all who see it. It took us a few hours to get to the Oga Peninsula by train 9including the baby Shinkansen) to experience the Namahage Sedo Festival; the festival is celebrated during the Lunar New Year and involves young single men dressing up in woven hay cloaks and beastly carved masks and going from house to house scaring children into behaving during the coming year by telling them that they will know if they are bad and come back for them. The ritual involves a lot of stamping of feet and banging on walls, with the head ogre carrying a book that supposedly lists the children’s misdemeanors throughout the previous year. The ogres are eventually placated by the offer of food and sake, and a promise from the often hysterical children that they will do as they are told throughout the year. They then stamp their feet again to ward off bad luck and leave with a wheel of sticky rice, ready to make the children at the next house they visit cry hysterically. 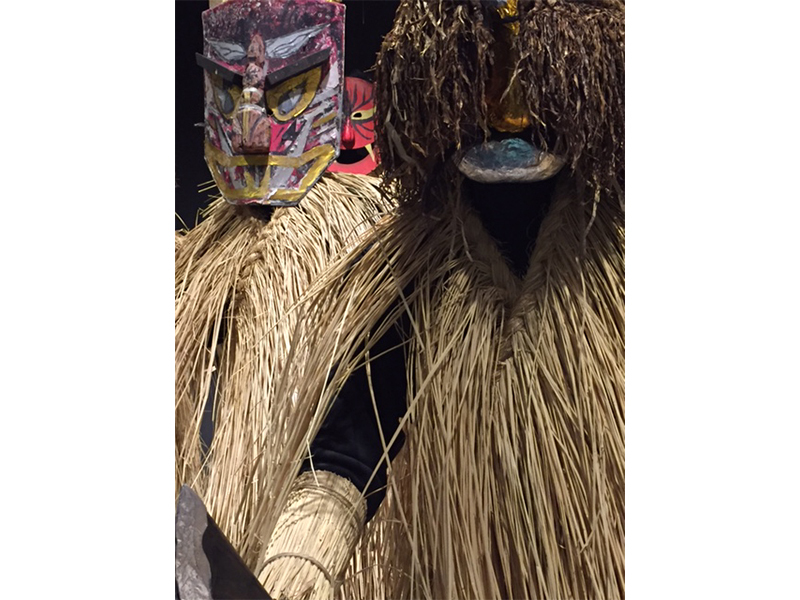 The Namahage Museum and Oga Shinzan Folklore Museum tell the story of the festival and feature a collection of vintage masks, all set up to terrifying effect in a large gallery. We also watched a craftsman carving masks by hand, before being ushered into a recreation of a traditional house to watch a performance of how a visit from the Namahage plays out, complete with (pretend) terrified children. After that we head up the hill to watch it all over again, including the traditional blessing by a Shinto priest (which is also accompanied by sake). The Namahage, holding lit torches march through the crowd in full ogre swagger; tradition has it that if you find a piece of straw from one of their capes left behind it will bring good luck for the coming year. The parade was followed by yet another dramatisation of the whole ritual and then a drum performance. The evening was totally amazing and totally unique to Akita. The namahage demons of the Oga Peninsula are famous for making children cry—and they can certainly give grown adults a shock as well! 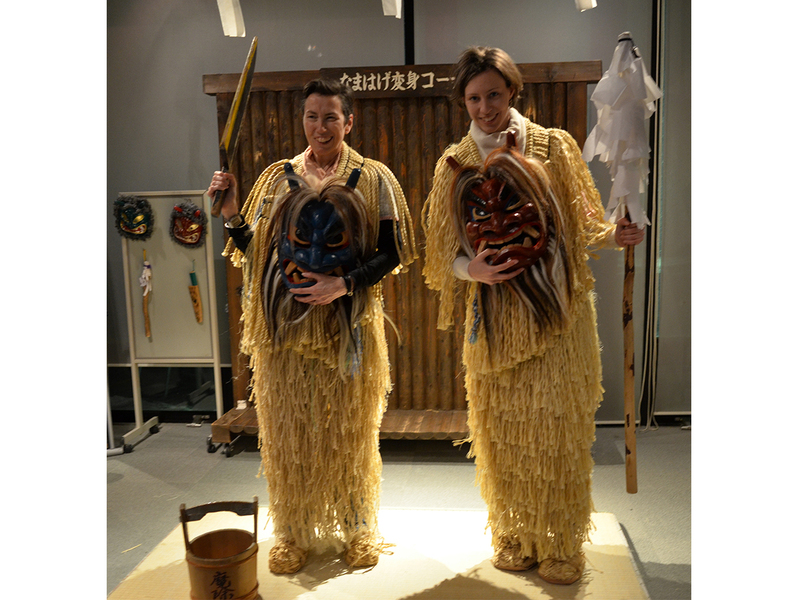 The Namahage Museum explained the history behind namahage, and gave us a chance to try the masks and see them being made. 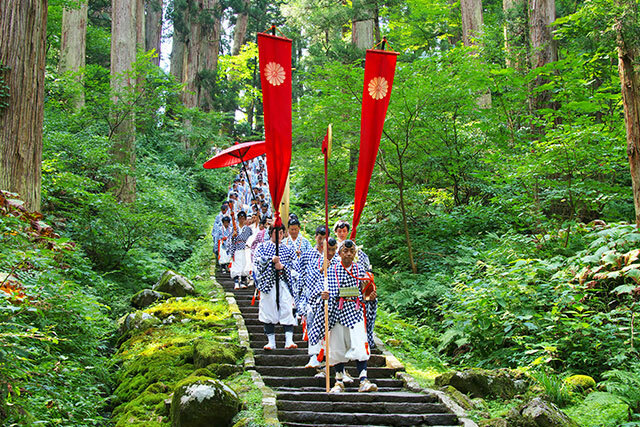 The festival then featured a reenactment of the namahage visitations, as well as a namahage dance and drum performance at the shrine. 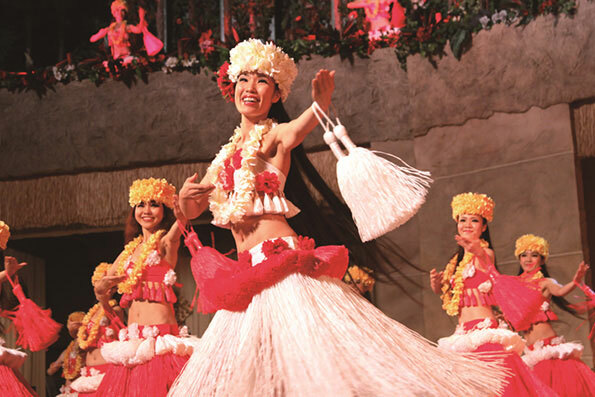 The firelight and the energy exuded by the performers were mesmerizing. 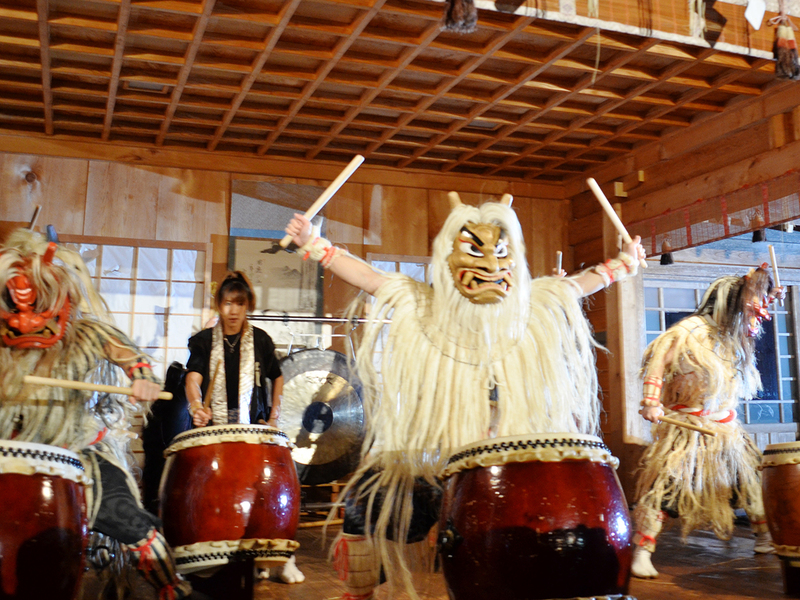 Namahage is a unique tradition that you can only see in Akita. Japan Airlines from Akita to Haneda then Narita to SydneyIt had been years since I travelled on JAL, but during this trip I experienced its international and domestic services and was very impressed with both. We were delayed leaving Akita due to the weather, but the airport has an amazing retail shop that sells locally made food unique to the Akita region including kiritanpo (I was very tempted to take a month’s supply home with me) and some of the unctuous miso pastes that we tasted during our stay. Arriving in Haneda, I transferred to Narita via the airport express bus, which took next to no time in the quiet Sunday traffic. 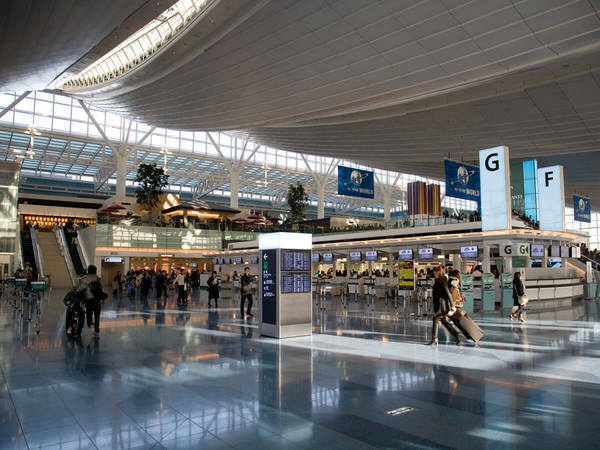 Narita is one of my favourite airports in the world, with its endless shops and lots of fresh Japanese food options to choose from. The check-in process was very efficient, as was security and customs.On the plane home the staff were extremely attentive. Although I didn’t eat while I was on board (I don’t eat when flying), the food that was being delivered to my fellow passengers looked and smelled great, and dinner was finished off with the offer of a little tub of ice cream, which I thought was cute. I spent most of my time on the home journey watching the in-flight entertainment system, which was well stocked with latest release movie which I watched back-to-back. – I actually ran out of time to finish the last movie I was watching so now I have to go out and hire a copy of The Martian to see if Matt Damon makes it back from Mars! 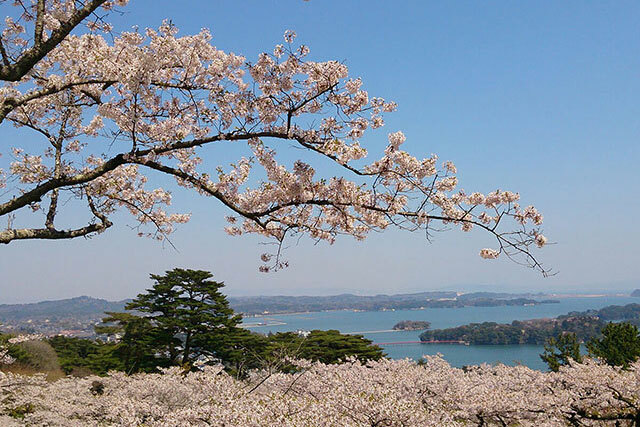 I first travelled to Japan when I was 16 years old on a council exchange, staying with a host family and attending a local high school in Koshigaya for a time. 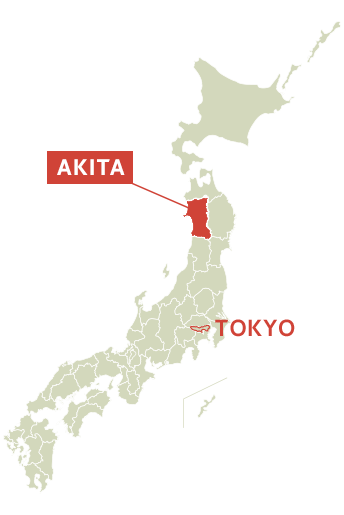 I was hugely excited to visit Japan again in 2016, not only to reconnect with Tokyo and its myriad sites, but also to explore a region that I hadn’t been to before, Akita. 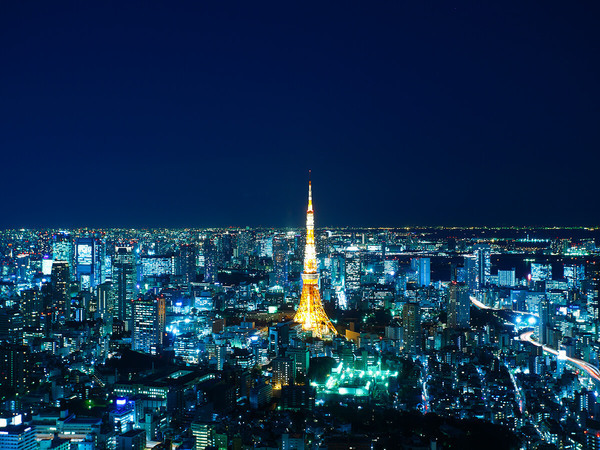 I was not disappointed on either count: it was wonderful to be back in Tokyo, seeing familiar sites. 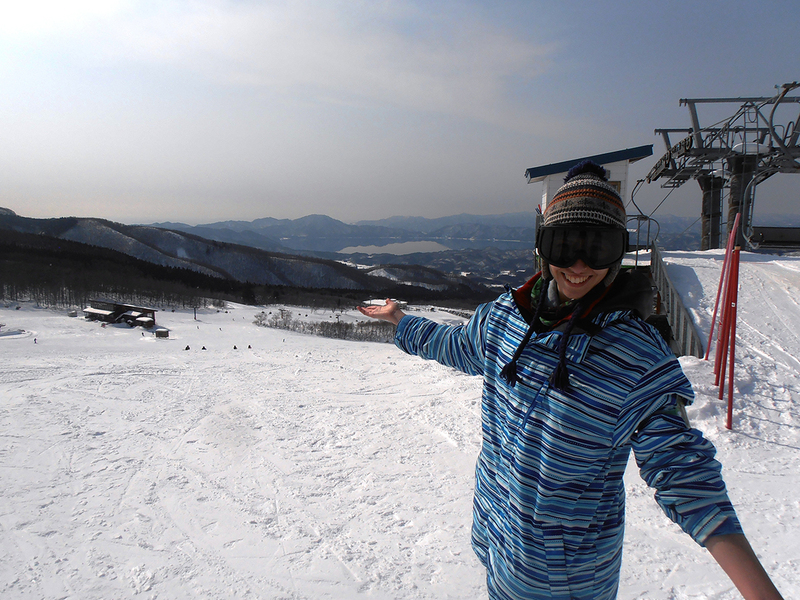 I personally enjoyed doing Hiburi and skiing the most because I could try them by myself.